Meet Libby. A new app to discover and enjoy thousands of eBooks and audiobooks from your public library. Your local library likely has thousands of ebooks and audiobooks for you to borrow. Instead of making a trip in person, Libby lets you borrow them right from your phone. It makes finding your branch, signing up for a card, and checking out titles easy. 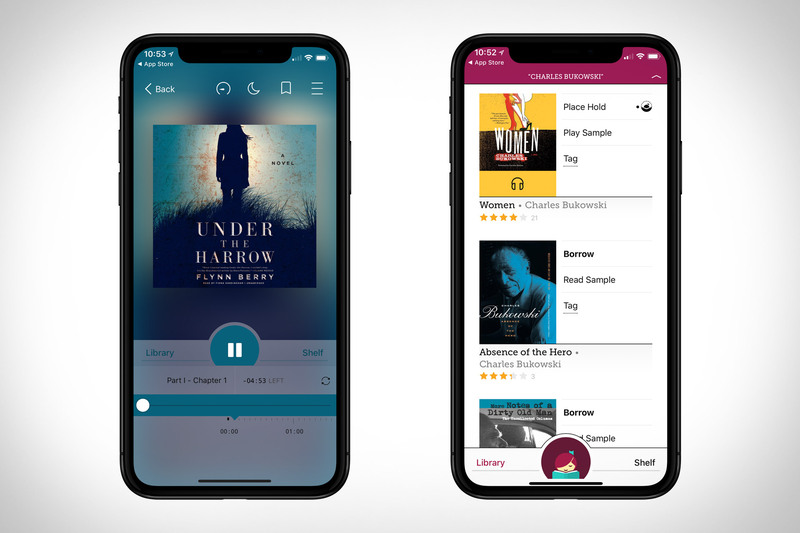 When you find something you like, you can listen through the built-in player, use the built-in reader, or send your selection to your Kindle to read it there. All your holds and loans are placed on a single shelf, and returning an item is as simple as borrowing one, with notifications for due dates coming soon. Download from the App Store for free HERE. There’s an all-new mobile app coming to guests at Disneyland Resort and Walt Disney World Resort this summer, now available for pre-order on the App Store and Google Play. The Play Disney Parks app will allow guests to play with family and friends while waiting in line for some favorite attractions. There’s something for everyone to enjoy, from activities that interact with select attraction queues to games that bring favorite Disney stories to life in immersive new ways. Guests can also earn and share digital collectibles when they receive themed achievements, earned for experiences both in the app and across the Disney parks. 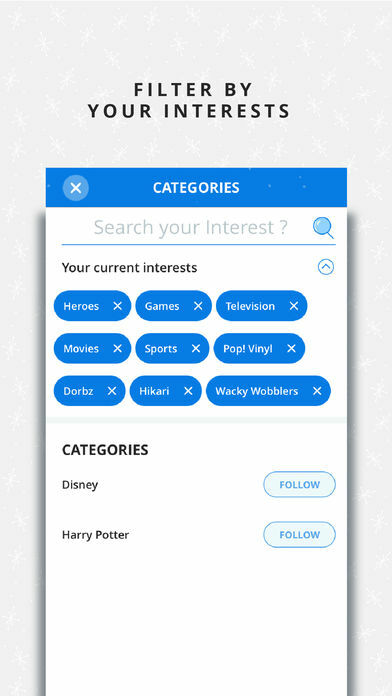 And with the Disney trivia feature, family and friends can band together to see if they have what it takes to become Disney trivia masters as they discover fun facts about their favorite theme parks. While the popular My Disney Experience app at Walt Disney World Resort and the Disneyland App at Disneyland Resort will continue serving guests in their vacation planning before and during their visit, the all-new Play Disney Parks app will soon allow guests to discover even more ways to enhance their in-park experience. The app is expected to be released on June 30, 2018. 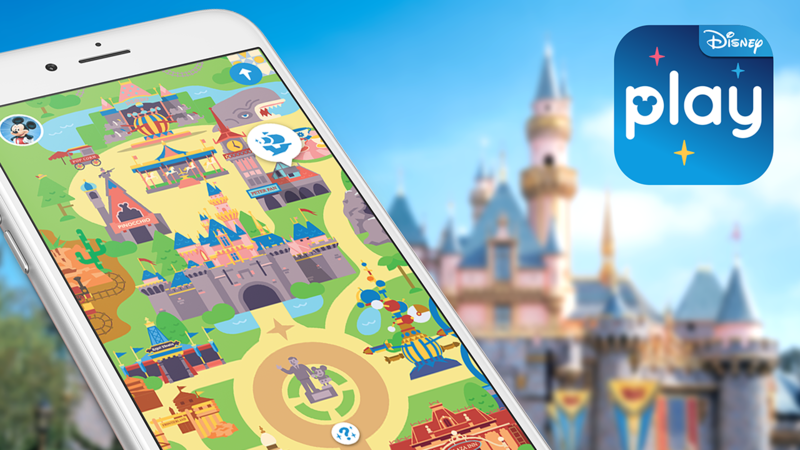 Guests can soon explore Disneyland Resort and Walt Disney World Resort in a whole new way using the all-new Play Disney Parks app! Coming this summer on iOS and Android, guests can play in the parks like never before using this soon-to-launch mobile app to access exclusive experiences at both locations through activities that interact with the surrounding environment. The app will be free to download. With the touch of a button, wait time turns into play time with family and friends at certain locations. And the more you explore in Disney parks, the more there is to discover on the app. This is just the latest way we are making a visit to our parks even more fun and memorable in new and innovative ways. Starting today, customers around the world can access the Amazon Prime Video app on Apple TV to stream award-winning and critically acclaimed titles including Prime Original Series and Movies. Also starting this week, the Apple TV app — a unified place for iPhone, iPad and Apple TV users to discover and start watching the best shows and movies — supports live sports, giving fans in the US a simple and seamless way to keep track of their favorite teams and games in real time. Participating sports apps in the Apple TV app include ESPN and the NBA, developed in partnership between the NBA and Turner Sports, with more to be added soon. Starting tomorrow, Prime members in the US can enjoy Thursday Night Football on the Apple TV app for iPhone, iPad and Apple TV. 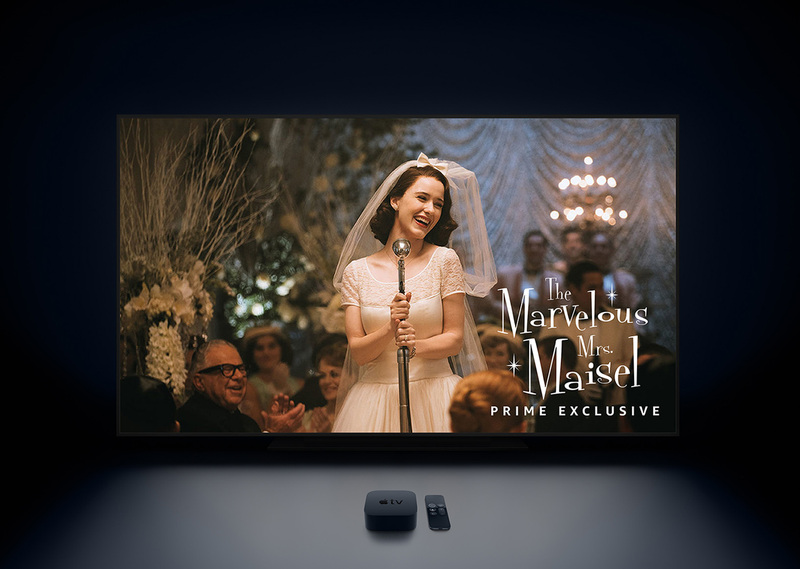 Prime members can now access thousands of titles through the Prime Video app on Apple TV 4K and previous generations of Apple TV, including Prime Original Series and Movies such as “The Marvelous Mrs. Maisel” and “The Big Sick,” with additional titles coming to the service every month. Prime Video also offers a wide array of award-winning kids content, including “Tumble Leaf,” “If You Give a Mouse a Cookie” and “The Snowy Day.” Prime Video further expands the library of TV shows and movies available in 4K HDR on Apple TV 4K. The app arrives on Apple TV in time for the new season of “The Grand Tour,” which launches on December 8. 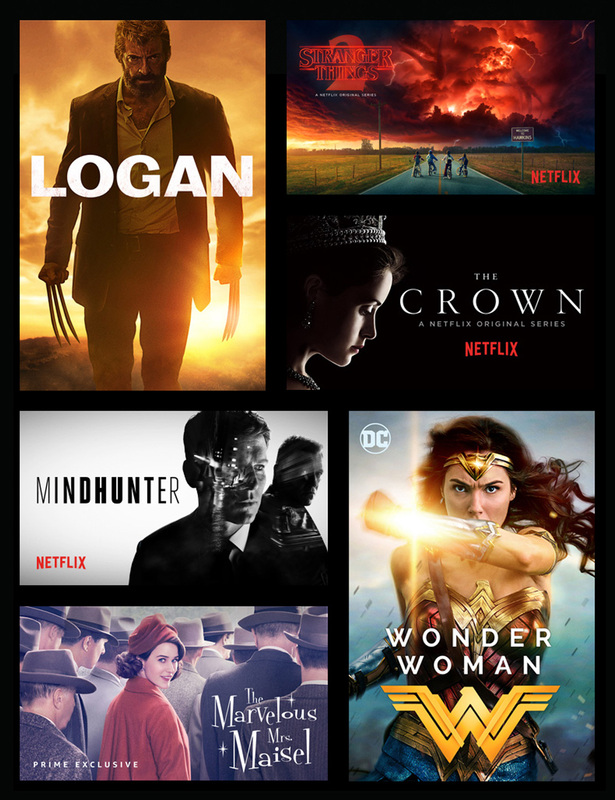 Prime Video is integrated into the Apple TV app where available, so members can easily find and discover their favorite Amazon shows and movies on iPhone, iPad and Apple TV, and also find Amazon content using the Siri Remote and universal search on Apple TV. With the addition of Prime Video, Siri can now search 1.3 million TV episodes and movies on Apple TV. 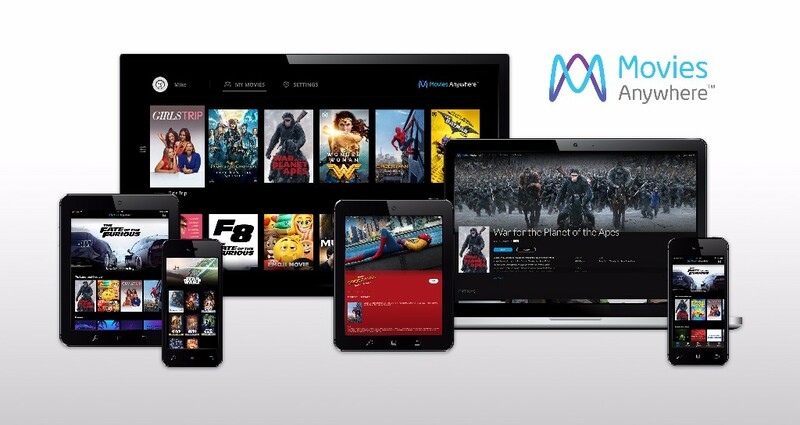 Movie lovers now have a new home for their favorite digital movies as Movies Anywhere launches in the U.S. today with an unprecedented five Hollywood studios and four major digital retailers on board. 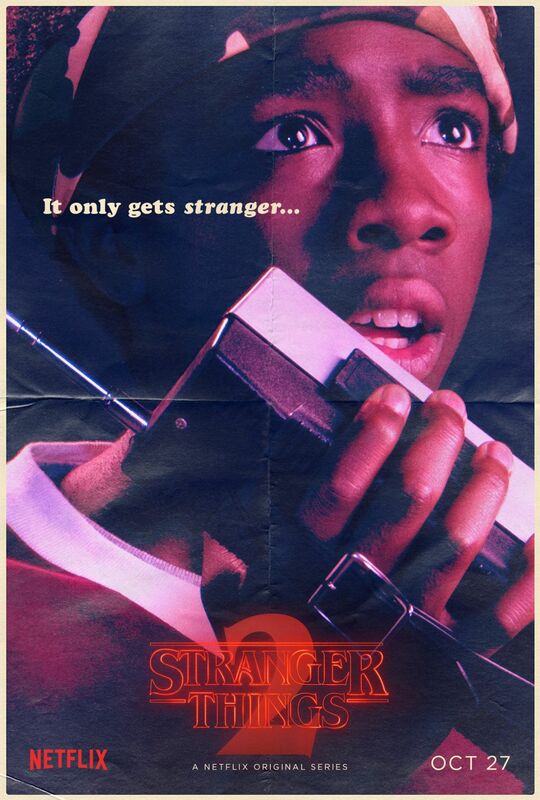 Featuring films from Sony Pictures Entertainment, The Walt Disney Studios (encompassing Disney, Pixar, Marvel Studios and Lucasfilm), Twentieth Century Fox Film, Universal Pictures and Warner Bros. Entertainment purchased or redeemed through digital retailers Amazon Video, Google Play, iTunes and Vudu, Movies Anywhere brings the movies people love together to create a simple, seamless digital entertainment experience across platforms. 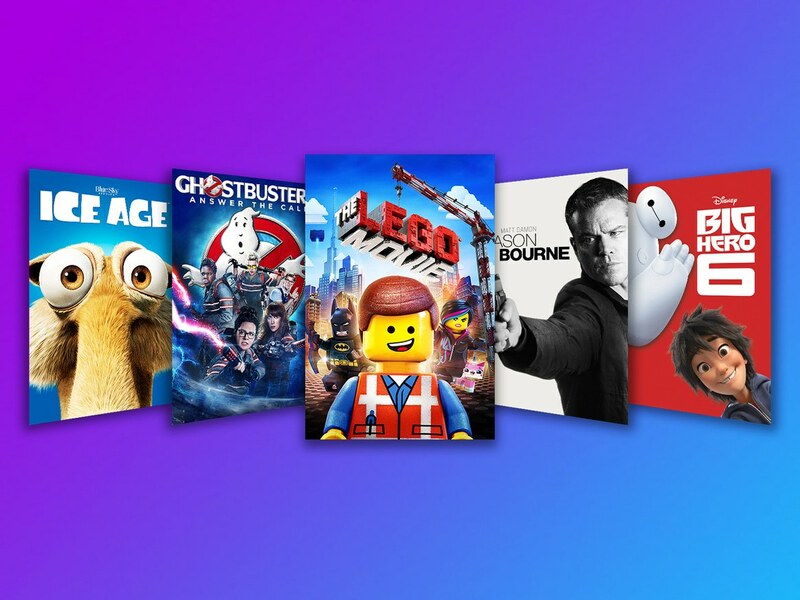 In celebration of this exciting new digital entertainment destination, Movies Anywhere is welcoming new users with a limited-time offer to receive up to five digital movies. 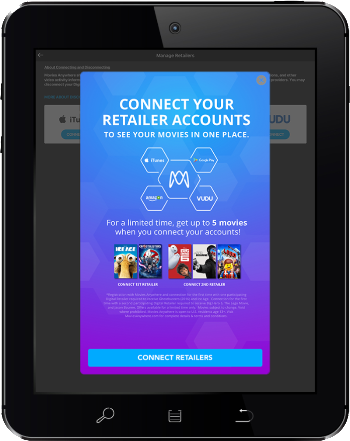 Activate and connect your account with one of these participating digital retailers— Amazon Video, Google Play, iTunes or Vudu —and you’ll receive a digital copy of both Sony Pictures’ “Ghostbusters” (2016) and Twentieth Century Fox’s “Ice Age.” Connect with a second participating digital retailer and Disney’s “Big Hero 6,” Universal’s “Jason Bourne” and Warner Bros.’ “The LEGO Movie” will be added to your digital movie collection. Google have released Duo, a simple video calling app for Android and iPhone. The FaceTime rival is now available for download and free to use. 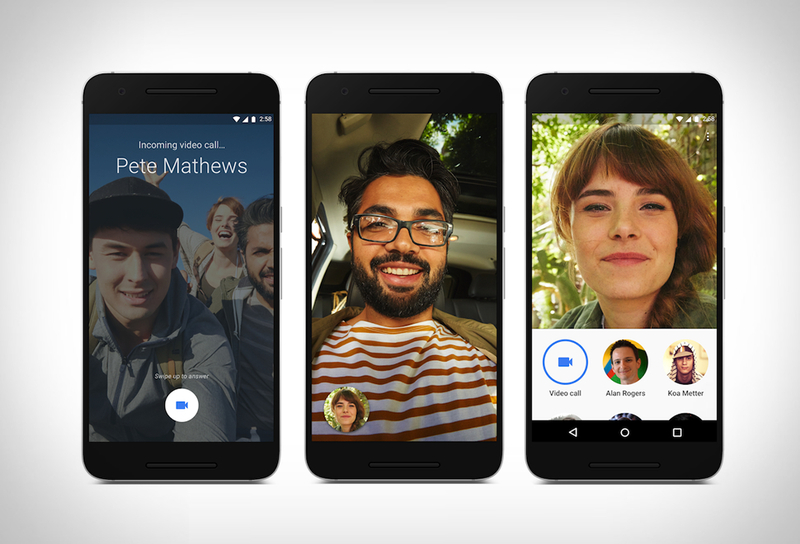 The aim is to make video calling as easy and reliable as possible, Google Duo stops you worrying about whether your call will connect, or if your friend is using the same type of device as you are. The entire user interface is designed to be intuitive and simple to use, a video call can be initiated with just a single tap. Duo works well even on slower networks, and will switch between Wi-Fi and cellular data automatically without losing your call. Another cool feature is “Knock Knock” which lets you see live video of your caller before you answer. You can download the app at Android and iOS today. 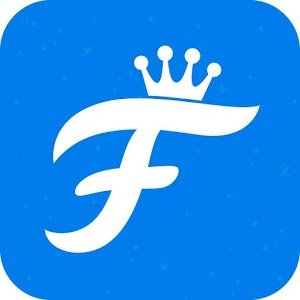 Welcome to the Official Funko app, the first and only Official collection tracker and mobile experience for Funko products. 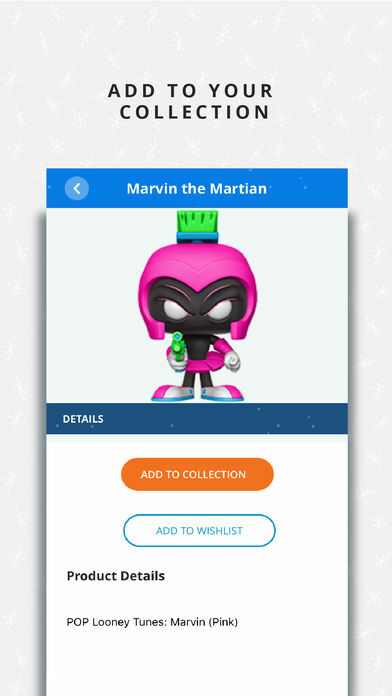 Through your Funko account, you will be able to track your collection, manage your information, make Pop! Versions of yourself and more. As a toy collector, it is tough to keep track of every new release, exclusive, and limited product. Funko feels your pain and they want to help. Whether you’re a seasoned collector or just starting out, you can now easily manage your growing collection. This is an app built by collectors, for collectors. Whether you’re a seasoned collector or just starting out, you can now easily manage and visually catalog your growing collection. Select what you love and stay up to date on the latest Funko products. 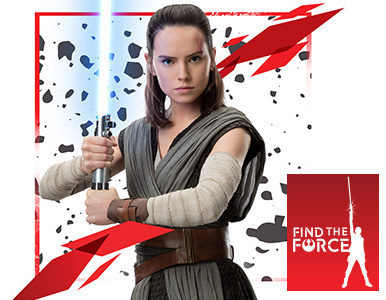 The catalog is 100% Funko Official. This is your trusted source for Funko products. 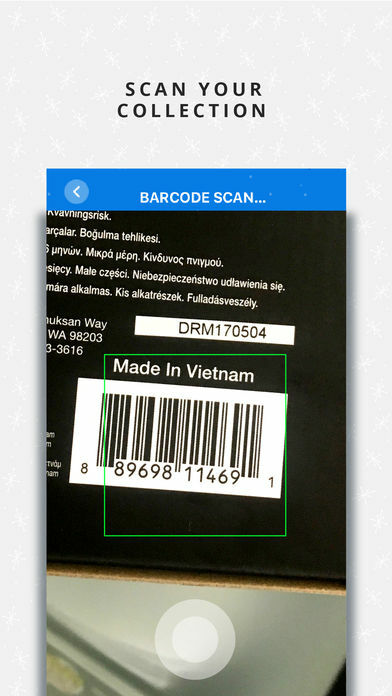 Scan the barcode of your latest purchase to seamlessly add it your collection. 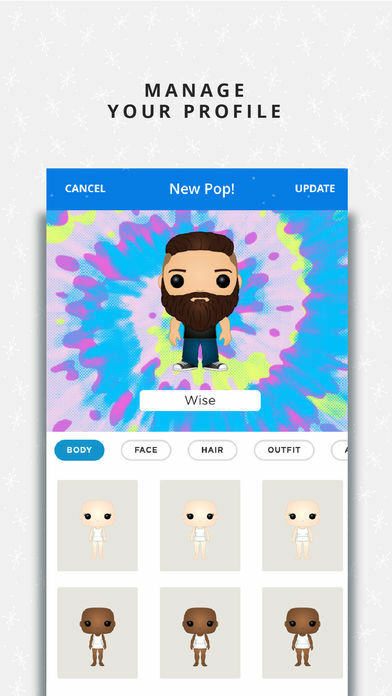 Popify Yourself with Funko’s avatar creator. Every item is created by the brilliant Funko art team. 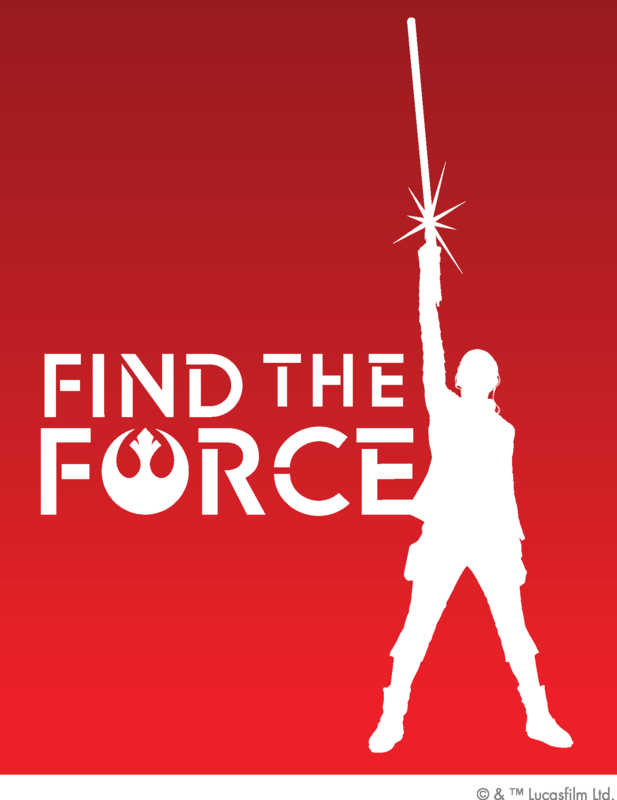 Get the latest news from the Funko blog, manage your account, and find the latest releases. This is just the start, Funko plans regular updates. Why purchase a cheesy boring postcard with no personality at a gift shop or travel kiosk when you can easily create your own custom postcard with your own images? 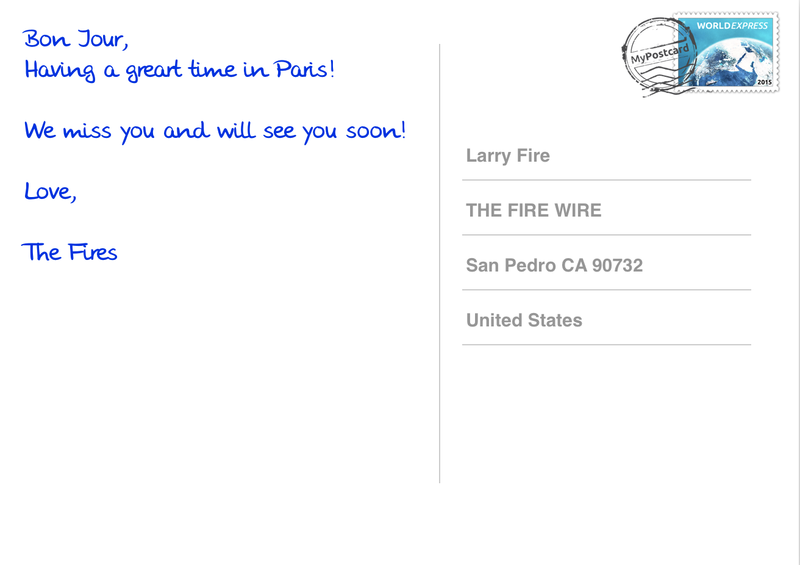 MyPostcard allows you to send real physical postcards from your smartphone or your computer. 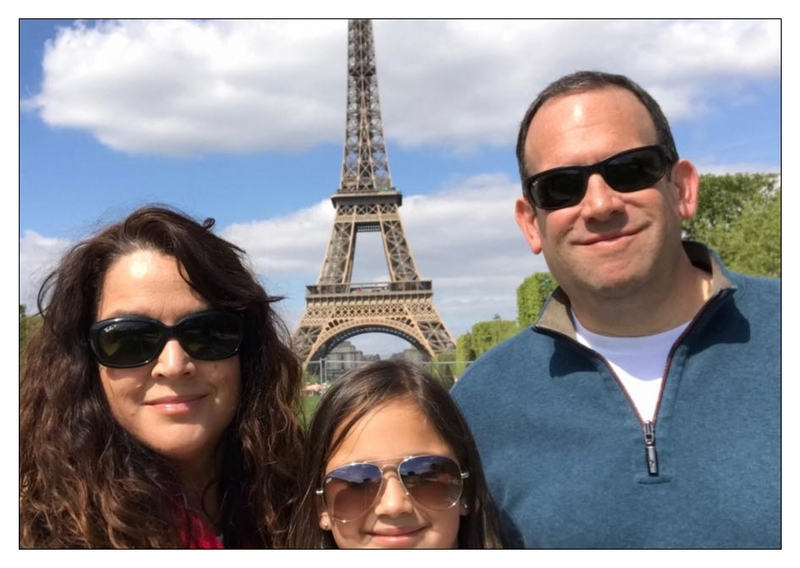 For the extremely low price of $1.99 per card you can choose that family shot at the Grand Canyon, pictures from an Anniversary party, photos of your last Disney World trip or a memorable image from your last exotic cruise and send a personal greeting on paper versus a boring digital image. Imagine the joy on your kid’s grandparents face when they receive an actual postcard featuring your children’s smiling faces! Show your girlfriend that you really miss her on your business trip and that you wish she was with you. It’s easy for people to scroll through forgettable pictures on Facebook and Instagram but a paper postcard leaves a lasting impresssion and shows that you REALLY care! How does it work? It’s actually quite simple. First you download the MyPostcard app in the App Store or Google Play Store. You can even use your home computer or tablet. There are many templates to choose from. Once your favorite photo has been uploaded you can add a personal message (Up to 450 characters) on the back of the card. Type in the recipient’s name and address and you are good to go! MyPostcard will take care of the rest…They will produce the cards and mail them anywhere in the world for you quickly, affordably and efficiently. The cards are sent out within 24 hours. Pay with a credit card or PayPal. The postcards are made in the traditional postcard format and measure 4.1 x 5.8 inches. The postcards are digitally printed on 300g thick paper or postcard cardboard. The front side of the postcard receives a high quality gloss lamination. Who doesn’t enjoy receiving a postcard in the mail and the personal touch of actual pictures will make it a special keepsake! Try MyPostcard on your next family vacation and truly surprise your loved ones! 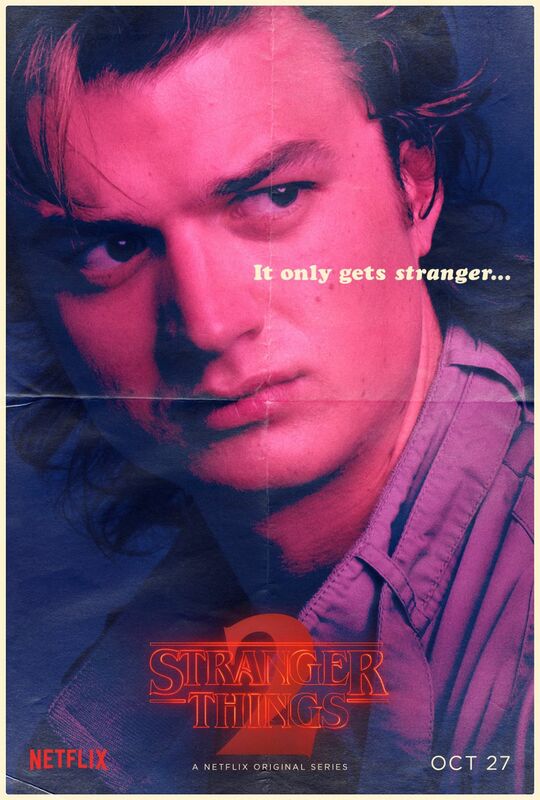 Ahead of the show’s premiere in just a few more weeks, Netflix has revealed twelve different Stranger Things character posters for Season 2. 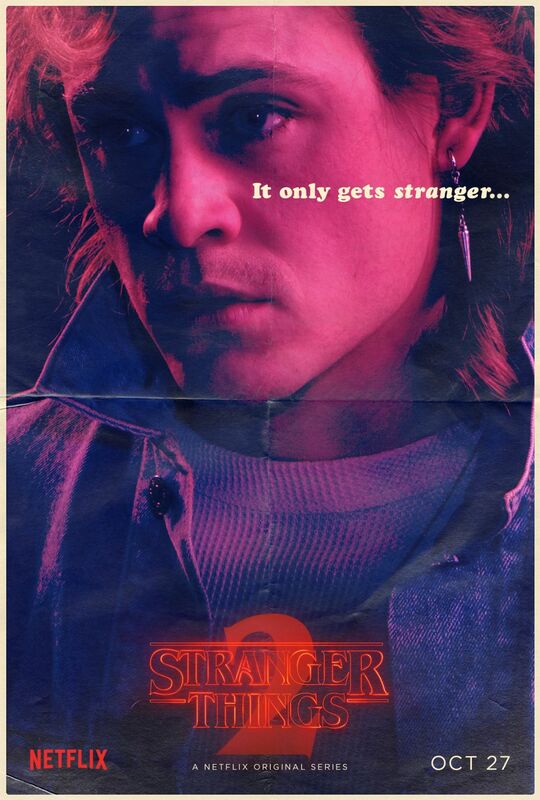 The second season will hit the streaming service on October 27, 2017, just in time for Halloween. 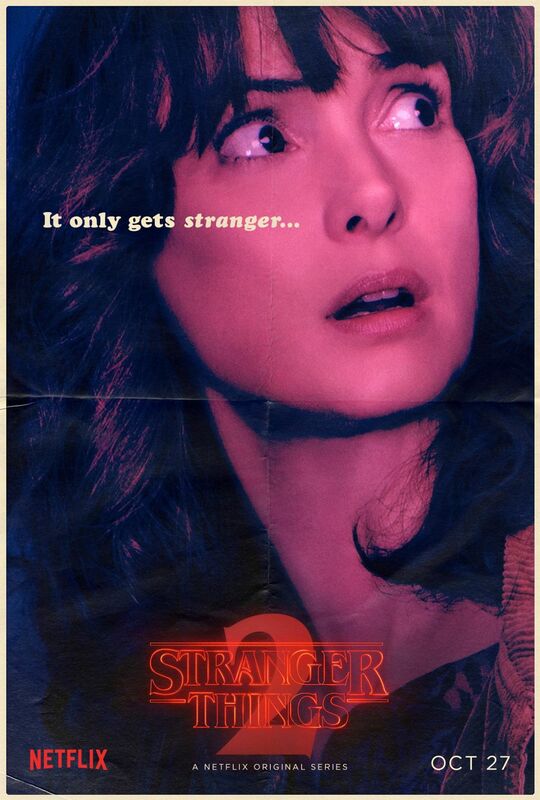 The second season of the hit series is set a year after Will’s return, and everything seems back to normal… but a darkness lurks just beneath the surface, threatening all of Hawkins. 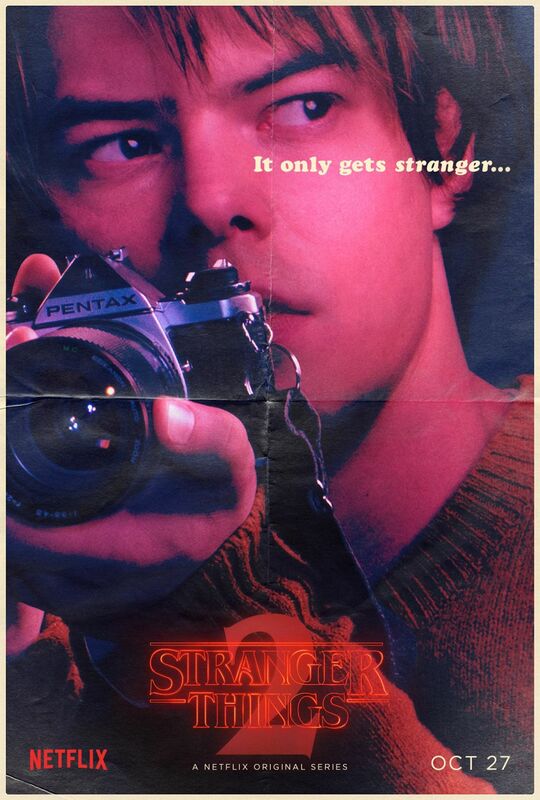 It’s 1984 and the citizens of Hawkins, Indiana are still reeling from the horrors of the demagorgon and the secrets of Hawkins Lab. 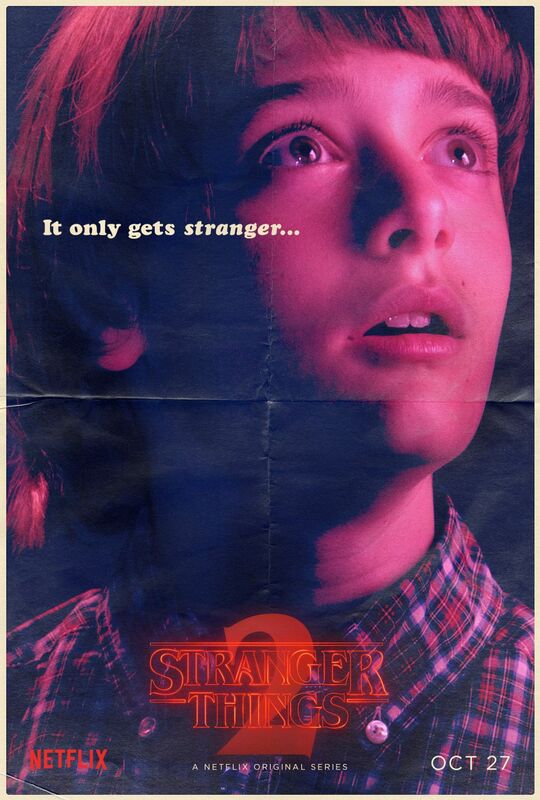 Will Byers has been rescued from the Upside Down but a bigger, sinister entity still threatens those who survived. 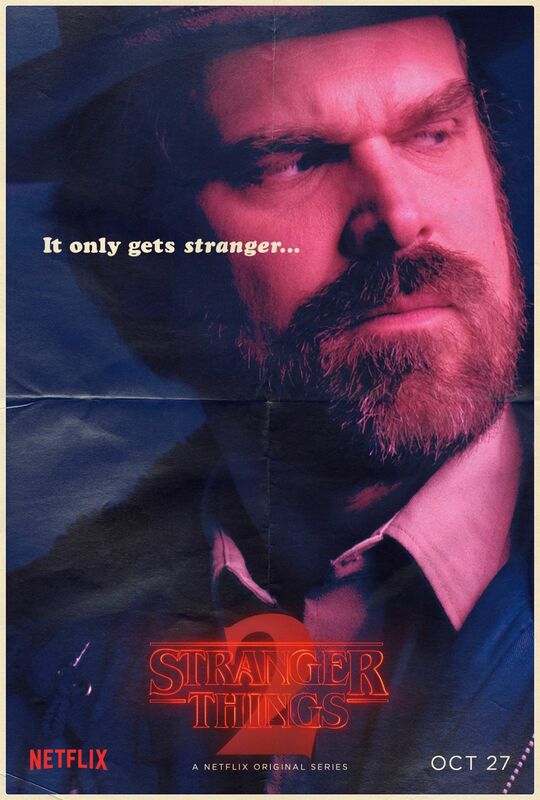 Stranger Things Season 2 will star Winona Ryder, David Harbour, Finn Wolfhard, Millie Brown, Gaten Matarazzo, Caleb McLaughlin, Noah Schnapp, Natalia Dyer, Cara Buono, Charlie Heaton, and Matthew Modine. 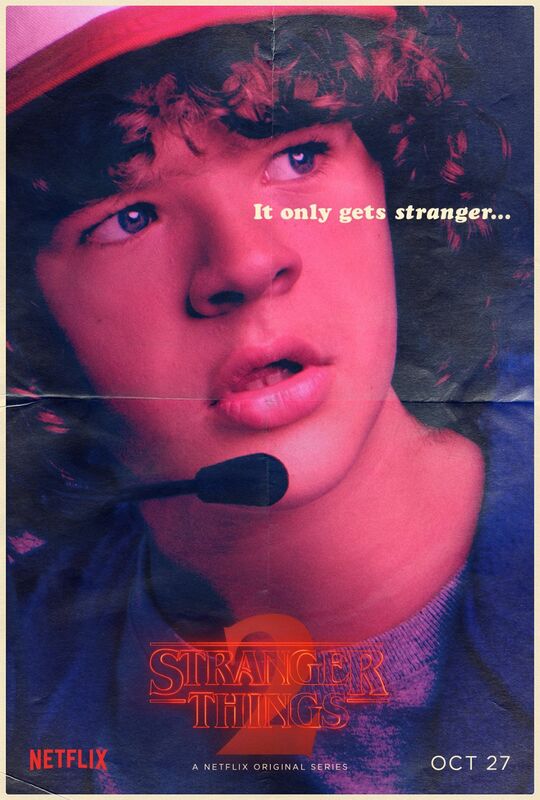 New cast additions include Sadie Sink (Unbreakable Kimmy Schmidt), Dacre Montgomery (Power Rangers), Brett Gelman (Blunt Talk, The Other Guys), newcomer Linnea Berthelsen, and ’80s icons Sean Astin (The Goonies) and Paul Reiser (Aliens).